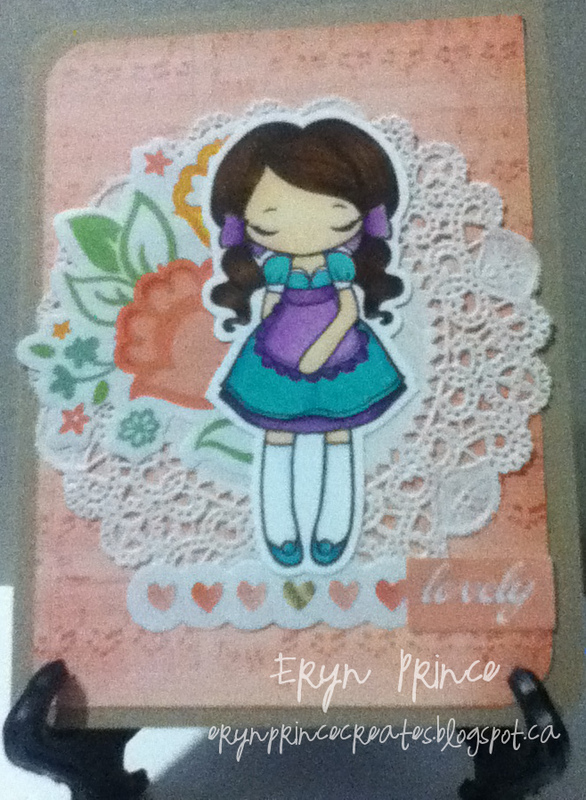 I used one of my "Miss Anya Dressy" stamps. I have not stamped out these stamps, even though I have had them for awhile, so they are basically new. The background music note paper is new, I got it for Christmas from my sister (it is American Crafts). The stickers are from the Neapolitan Collection, and using stickers on a card is a "new" thing for me. 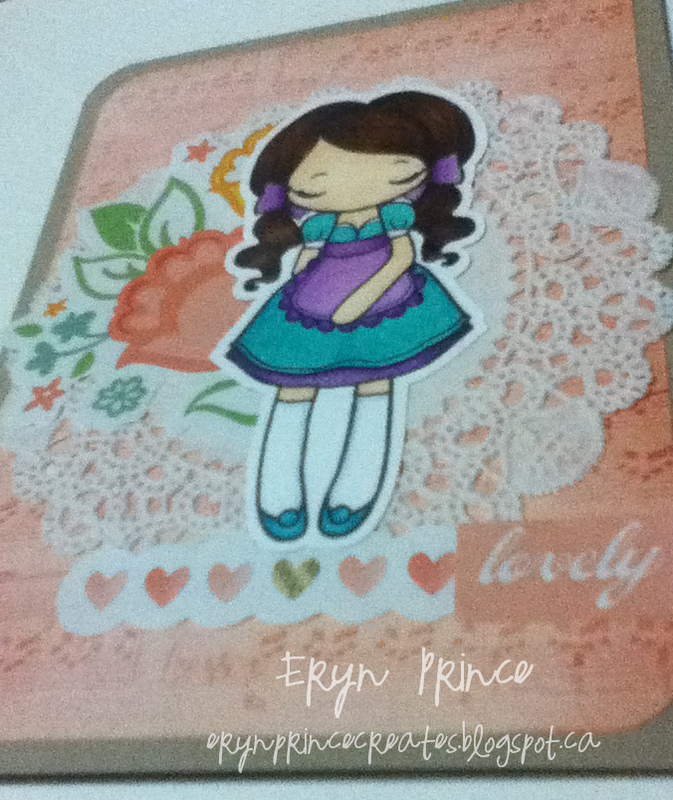 I don't really use them much as I am more of a card maker than scrapbooker. Anyways, you have until January 10 at Noon CST to enter. 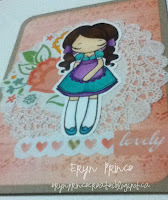 I love The Greeting Farm, I am hoping to get my hands on some new stamps from them soon! So soft and pretty!! Love it! Thanks for playing along with the TGF challenge! She is precious! Love the paper, the doilly and the way you colored her. 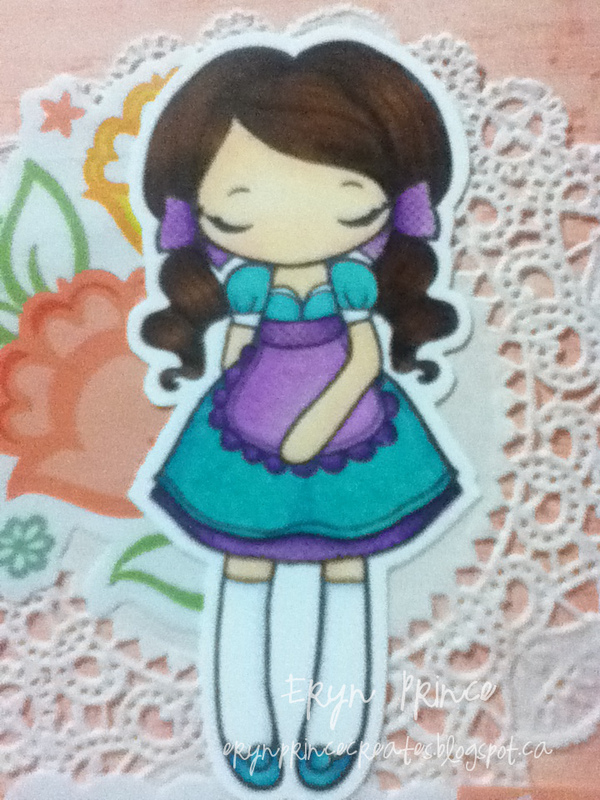 I never think to use my stickers. I have a lot of them from years ago, thanks for the reminder! cute card! thanks for playing with us at TGF. good luck! Cute colors! I love Miss Anya Dressy. :) Thanks for playing in the TGF FFF challenge! Very pretty card. Love the soft, girlie background.